JAKARTA — Two neighbors with a fractious history sought to put recent disputes behind them as Indonesian President Joko Widodo and Australian Prime Minister Malcolm Turnbull agreed at the weekend to restore military cooperation and reduce restrictions on some exports ahead of a possible free trade deal later this year. “Great result for Australian farmers. It will now be easier to export more sugar and beef to Indonesia,” Turnbull tweeted on Sunday, referring to Indonesia’s agreement to reduce tariffs on Australian sugar to 5% and allow more live cattle exports from Australia to the country of 250 million people. Widodo’s Feb. 25-26 visit to Sydney was his second trip to Australia since he took office in 2014, and the first since he personally showed Turnbull around Jakarta in November 2015. That meeting came shortly after the Australian prime minister took power in Canberra, on the back of an internal Liberal Party coup against incumbent Prime Minister Tony Abbott. Just as Widodo took Turnbull on a meet-and-greet walk through some Jakarta street markets back then — reprising his electoral campaign walkabouts known as blusukan — Turnbull on Sunday took Widodo for an early morning amble through a downtown Sydney park, where the two leaders stopped to shake hands and make small-talk with joggers. In an earlier display of renewed bilateral bonhomie, the two former businessmen struck a cordial pose outside Turnbull’s private residence in Sydney’s eastern suburbs before a Saturday night dinner, posing with their wives in photos later posted on Widodo’s official Twitter account. Ahead of the weekend announcement that the two countries had restored military cooperation, Australia apologized after Indonesia’s defense forces complained about Australian army training material that allegedly insulted pancasila, Indonesia’s official political philosophy. The Australian training manual also questioned Indonesia’s governance of its territory on the island of Papua, the eastern half of which was controlled by Australia prior to Papua New Guinea’s independence in 1975. That row that came more than a year after Canberra unsuccessfully sought to prevent the execution of Australian citizens Andrew Chan and Myuran Sukumaran, who were executed by firing squad in April 2015 after spending more than a decade in Indonesian jails on drug trafficking charges. Australian efforts to have the two men spared were dismissed by Jakarta as unwarranted interference in Indonesia’s domestic judicial affairs. Widodo’s two-day visit to Australia was a rescheduling of a four-day trip that had been planned for November 2016 but was postponed after Islamist groups staged mass demonstrations in Jakarta against the city’s Christian governor, a Chinese-Indonesian ally of Widodo’s. That resurgence of political Islam in Indonesia has caused disquiet in Australia, while Indonesia, for its part, has expressed “concern” over the revived prominence of the nativist One Nation party, along with party leader Pauline Hanson’s recent calls for Australia to stop Muslim immigration and install surveillance cameras in mosques. Widodo’s visit overlapped with the visit to Australia of Israeli Prime Minister Benjamin Netanyahu. Despite Jakarta’s frequent denunciations of Israeli settlement-building in Israeli-controlled West Bank — and Canberra’s reasonably supportive stance toward new construction in the disputed territory — the simultaneous presence of the two leaders in Sydney did not appear to cause any friction. 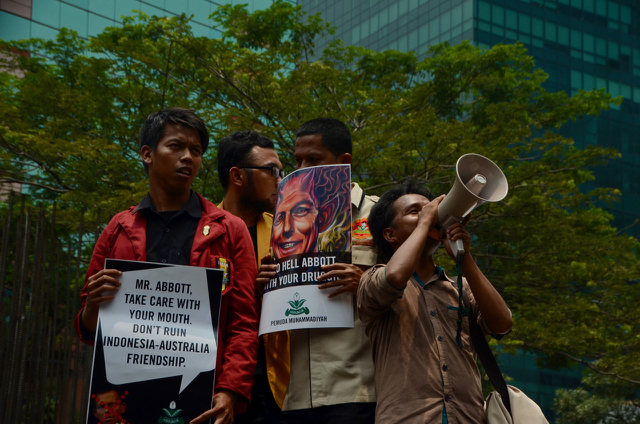 While both Indonesia and Australia are lively electoral democracies, bilateral relations have been more turbulent since Indonesia saw the end of autocratic government in 1998 and allowed East Timor, a cause celebre for many Australians, to secede a year later. Australia was the only Western government to recognize Indonesia’s mid-1970s conquest of East Timor, a former Portuguese colony that declared independence in 1974. Part of Australia’s acquiescence included turning a blind eye to the murder by Indonesian military personnel of six journalists, including three Australians, who were in East Timor reporting on the invasion. But since Indonesia’s transition to democracy, there have been frequent spats over issues such as Australia’s beef and cattle exports to Indonesia and over Australia’s policy of preventing refugees from entering Australian territorial waters. In early 2014, Australia apologized after Indonesian accused Australia’s navy of entering Indonesian waters while pushing refugees back from Australia. The two countries also sparred over reports that Australia had tapped former Indonesian President Susilo Bambang Yudhoyono’s mobile phone. Although about a million Australian tourists visit Indonesia each year, mostly to the Hindu island of Bali, Indonesia chafes at official Australian warnings against travel to the archipelago. Canberra has frequently posted such warnings since the 2002 Bali bombing, orchestrated by a local Al-Qaeda affiliate, killed 202 people, including 88 Australians. Even so, the attack led to closer ties between the intelligence agencies and police of both countries. It appears both governments want to revive the spirit of Yudhoyono’s speech. “Indonesia is a nation of extraordinary significance to Australia. We share a commitment to values such as freedom, democracy and the rule of law,” Turnbull said in an article published in Australia’s Sydney Morning Herald newspaper ahead of Widodo’s arrival. Widodo said shortly before his visit that he wanted to see joint Australian-Indonesian naval patrols in the South China Sea, almost all of which is claimed by China, a major trade and investment partner for both countries. Beijing’s assertions make conflict with Indonesia possible as waters around the Jakarta-controlled Natuna Islands appear to overlap with China’s expansive maritime claims. 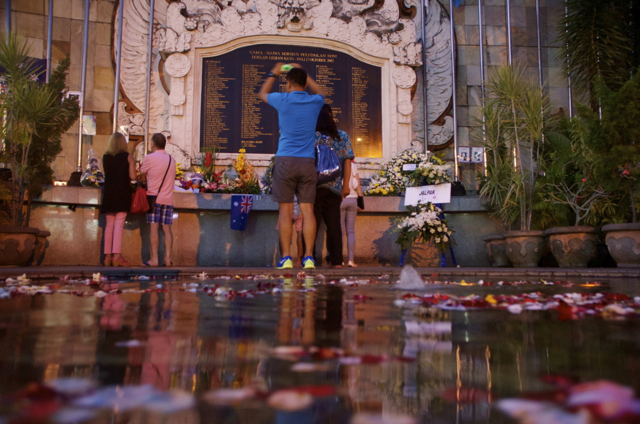 The two countries also share common concerns about preventing Islamist terror after recent attacks linked to the so-called Islamic State — one in Jakarta in January 2016, and in Sydney just over a year earlier. With their weekend talks, both leaders signaled that boosting economic ties could be key to a less fractious relationship in the longer term. 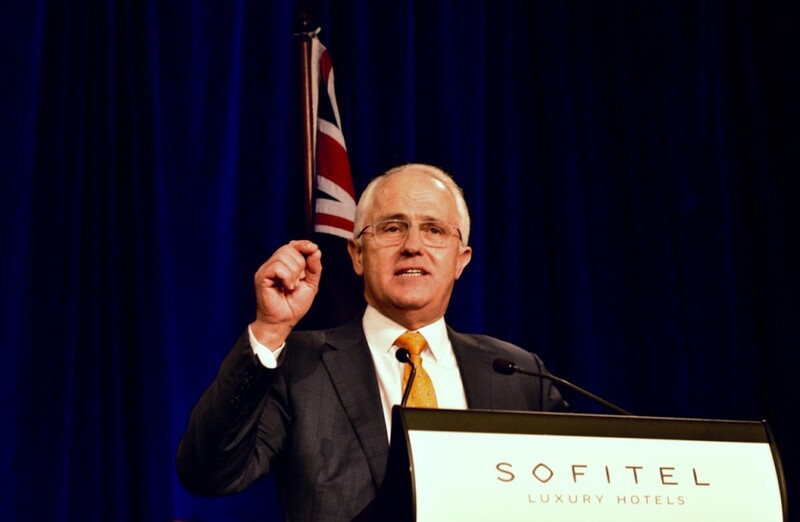 But despite Turnbull’s emphasis on the “significance” of their bilateral relations — and the geographic proximity of the world’s 12th (Australia) and 15th (Indonesia) biggest economies, according to the World Bank’s 2015 economic rankings — Australia’s Department of Foreign Affairs and Trade lists Indonesia as only Australia’s 13th biggest trade partner. Before Widodo’s visit, officials and business representatives from both countries discussed the proposed Indonesia-Australia Comprehensive Economic Partnership Agreement, a free trade deal that could be implemented by the end of 2017 and would see increased commerce between the resource-rich neighbors, whose role as commodity exporters suggests their relationship is more as competitors rather than collaborators. More than half of Australia’s $184 billion of exports in 2016, mostly commodities, went to China, Japan and South Korea. Indonesia, though less reliant on the Chinese market than Australia, meanwhile, sends the majority of its exports elsewhere in Asia. Indonesia’s top exports are palm oil, coal, oil and natural gas, while Australia’s main exports are iron ore, coal, natural gas, gold and aluminum. There are other potential hurdles to boosting business links between the two neighbors. Indonesia’s Investment Minister Thomas Lembong suggested that the deal would entail Jakarta smoothing out its notoriously complicated business rules, source of frequent complaint among prospective investors. “To be very honest our regulations change a lot and a lot of times without prior notice,” said Lembong, who accompanied Widodo to Australia. But both countries see opportunities. Australia’s status as a high income and technologically advanced economy could be source for high-tech investment in Indonesia, which wants to sell more of its palm oil and paper to Australia. Australian businesses could increase access to Indonesia’s vast market — which could be the world’s fifth biggest economy by 2030 and the fourth biggest in another two decades, according to projections by international accounting firm PwC. “The complementarity of the two economies make it possible to convert weaknesses into strengths, problems into opportunities,” said Debnath Guharoy, president of the Australia-Indonesia Business Council, which along with other business groups and chambers of commerce in both countries submitted recommendations to government negotiators thrashing out the proposed bilateral trade deal. A joint Turnbull-Widodo statement at the end of the Indonesian president’s visit claimed that the proposed trade deal “will facilitate more opportunities for Australian and Indonesian businesses and create more jobs for both Australia and Indonesia.” With the future of global trade in the spotlight due to the move by U.S. President Donald Trump to jettison the Trans Pacific Partnership, a proposed free trade deal taking in 12 Asia-Pacific countries, it is likely that greater emphasis will be placed on other arrangements. Australia had signed up to the TPP before it was torpedoed by Trump, while Indonesia’s government had said it wanted to join later. In the meantime, China, a key export destination for both countries, is likely to push the 16-country Regional Comprehensive Economic Partnership, a free trade area first proposed by the Association of Southeast Asian Nations. Australia and Indonesia will both participate in the next round of RCEP negotiations, from Feb. 27 to March 3 in Kobe, Japan. Matching bilateral trade deals with wider arrangements such as the RCEP will be difficult, according to economists. “I would hope that this [the Australia-Indonesia deal] will not deviate too far away from other ongoing negotiations … Compatibility across these agreements is key to ensuring maximum benefits of trade relationship,” said Arianto Patunru, an Indonesian economics lecturer at Australian National University.